Salehoo (Salehoo.com) is a popular drop shipping directory – let’s look at what you get and what results you can expect when you pay $67 for Salehoo membership. First let’s address the question “Is Salehoo a Scam?” – No, Salehoo is legitimate company (check out their BBB record here) BUT it is easy to lose money and get burned if you come with wrong expectations and don’t take the time to do the research. 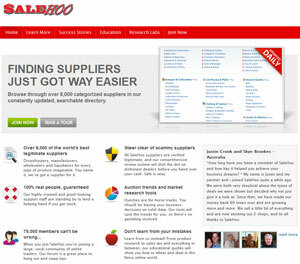 Salehoo directory offers access to 8000+ suppliers – dropshippers, wholesalers, liquidators, manufactures from several countries and continents – USA, UK, Canada, Asia, Australia… a lot of those suppliers will ship worldwide. Wholesalers – light bulk and volume wholesalers – you buy and stock product inventory, the more you buy upfront the better your price will be. Liquidators – sell refurbished, damaged, shelf-pull, returned items by pallet or truckload, you can get rock-bottom prices but have to be very careful because it is very hard to return items or there is no returns at all and you may stuck with inventory that you can’t sell. You have a lot of categories to choose from: consumer electronics, clothing, jewelry, computers and software, video games, health products… Salehoo directory helps you find legitimate suppliers BUT if you want to find particular product or brand you have to contact each supplier using provided contact information (website, email, phone number). You might be thinking “I can go to Google and find suppliers on my own” but how can you verify that they’re legitimate business unless you buy from them and most of the suppliers websites look like they were built in 90th in a notepad so you can’t really tell unless you deal with them and this involves risk and investing money upfront. That’s where Salehoo comes into play – they have three-tier review system that allows you to read other people’s experiences with a supplier before you hand over your money. 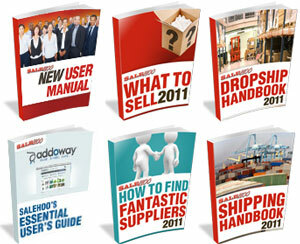 SaleHoo reviews: they anonymously purchase from suppliers and leave their findings on the supplier’s info page. Member reviews: SaleHoo members can also leave reviews after using a supplier. They also have “Power Seller reviews” which are written by SaleHoo members who are also eBay Power Sellers. These experienced Power Sellers work part-time for SaleHoo calling up suppliers and asking them lots of questions about their business. 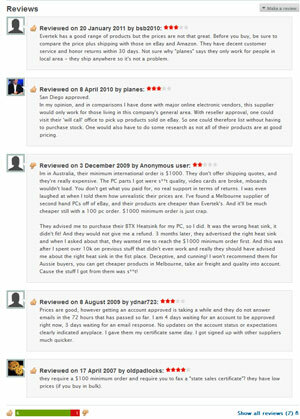 They then write up a review giving their expert opinion on the supplier’s quality. The SaleHoo forum: You can ask if other members have had an experience with supplier you’re planning to buy from or you can browse existing threads and decide on your own. While you won’t find “Members Review” for every supplier in the directory it is very helpful to see real people and eBay Power Sellers opinion when deciding should you do business with particular supplier or not, this alone could save you countless hours of research and wasted money. If you’re expecting to find rock-bottom wholesale prices inside Salehoo drop ship directory I have to disappoint you because it is not the case. Comparing Salehoo prices with prices on eBay or Amazon you’ll always find that there are sellers who are selling at your wholesale price or even below. Do not expect to buy Salehoo membership and get instant access to the wholesalers and killer deals on products that you simply can list on eBay and make tons of profit. The prices you’ll see on websites of Salehoo suppliers are not real wholesale prices, if you want real wholesale prices you have to contact them by email or phone to get those offers and buy in bulk. If you want rock-bottom prices you have to either buy in bulk or go to wholesale liquidators. To make money selling Salehoo drop ship merchandise you have to leverage other areas to make yourself and your products stand out in the marketplace. While price is important when selling online it is not the only thing that buyers look at. Think about Apple with any other vendor selling consumer electronics, Apple consistently manage to sell their devices for 2-3 times more than other vendors selling devices of the same class. Starbucks with other coffee shops… same thing. Your local dentist – one will charge you $2500 for dental implant the other one $4000 for the same thing and they both have business. This goes without saying for eBay – there are sellers that consistently are able to get more money for the same items that other sellers selling cheaper. 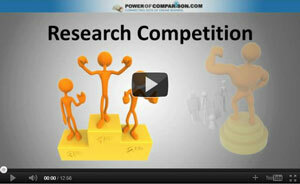 Marketing and research have huge impact on how much money you’re going to make selling particular product online. Remember, you don’t need to have the lowest price in the marketplace to make money. You are not trying to outsell Amazon or eBay and never will. Because actual products are not listed in the Salehoo directory you have to browse supplier’s website or request information about products from them. Quality of the products will vary from supplier to supplier, some of them will offer brand-name products from well-known manufactures (Oakley, Nike, LG, Sony, O’neil etc. ), some of them will offer non-branded merchandise, which you still can make money from if you’re honest and upfront about it and not trying to sell fake iPhones and iPads, fooling your customers into thinking that they buying genuine Apple products. Selling products from Salehoo drop ship catalog without researching them first will almost guarantee that you fail and lose money. They have market research tool inside Salehoo directory called “Research Labs” but it is very hard to make weighted rational decision about the product based on its data. In my opinion Salehoo “Research Labs” at the moment is not able to provide you with full spectrum of data that you need to decide whatever or not you will make money selling particular product online and you could get much better results from established eBay market research tools like Terapeak or Hammertap. What is the demand for this product (how many people want to buy it now)? What is the supply for this product (how many sellers are trying to sell it now)? How much I can expect to make selling it? Great sales copy and description (what features and benefits are important to buyers)? What is the right day and time to start and end an auction, when people spend the most? How many serious players are in your market (if it is too competitive you don’t have a chance) and how big is your market? Are your market affected by seasonal trends? What the most successful sellers in your category do in order to be successful? Knowing answers to these questions will tell you which products to sell and when, how to sell more often and make more money from every auction and you can’t really answer these questions without proper eBay market research tool. I am using Terapeak (see detailed review here) because it is easy to use and the most powerful one out there. I was surprised to see that for relatively low price (compared to other popular drop shipping solutions like Worldwide Brands and Doba) Salehoo offers thorough education section with valuable videos, reports, guides and helpful forum. If you’re the reading type you can start off by downloading and reading their guides. In addition to guides Salehoo education section has an extensive set of articles covering important aspects of selling online (you can read and download them here). If you’re like me and prefer watching instead of reading then you should check out “Online Selling Tactics” it is an interactive video course that guides you through the whole process of starting profitable eCommerce business, revealing hidden pitfalls and showing actionable tips and techniques that you can implement in your business right away. But the most helpful part of Salehoo education, in my opinion, is the Forum, where you can get feedback and answers from real unbiased sellers. It is one of the largest wholesale forums with over 80 000+ members so if you have a question about supplier, particular strategy, product sourcing, need somebody to team up with to buy in bulk or just need some motivation – forum is the best place to get those answers. Getting honest feedback about your idea or question from much more experienced seller could save you countless hours of research and wasted time, that’s why I highly recommend check out forum BEFORE you buy from supplier. If you’re brand new to drop shipping and selling online my advice is to go through guides and Online Selling Tactics videos first, jot down product ideas, verify those product ideas using eBay market research service like Terapeak or Hammertap, pick 5-10 the most promising ones, try to research at least 2-3 suppliers for each product, check forum for feedback on those suppliers and only after that make a decision to sell a product and deal with certain supplier. Salehoo is not for everybody; if you expect to find rock-bottom prices inside their drop shipping directory and make bunch of money by simply listing those products on eBay or Amazon – Salehoo is probably not for you. As a member of a Salehoo directory you get access to legitimate wholesale suppliers, topnotch education and helpful community but it is YOUR job to do market research, contact suppliers for wholesale prices and get lucrative deals. If you think this is too much work then you should probably check out Doba as they offer turn-key drop shipping platform but remember that you have to pay premium price for simplicity and automation. Salehoo price and ecommerce education makes it great place to get started and learn ins and outs of drop shipping and selling online. Thanks buddy! I think this information of yours was very helpful, much appreciated! What wordpress theme are you using? Looks very clean. I was considering salehoo but not much time since I am with Empower Network….thanks for the review!